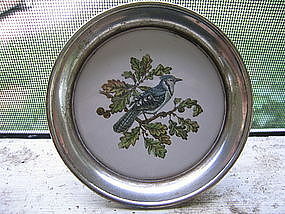 Silverplate and porcelain tile coaster. There is wear to the finish of the silver and a fired-in dark dot to the porcelain. Additional photos by email. Other coasters in the series available. I need your zip code to calculate the postage.